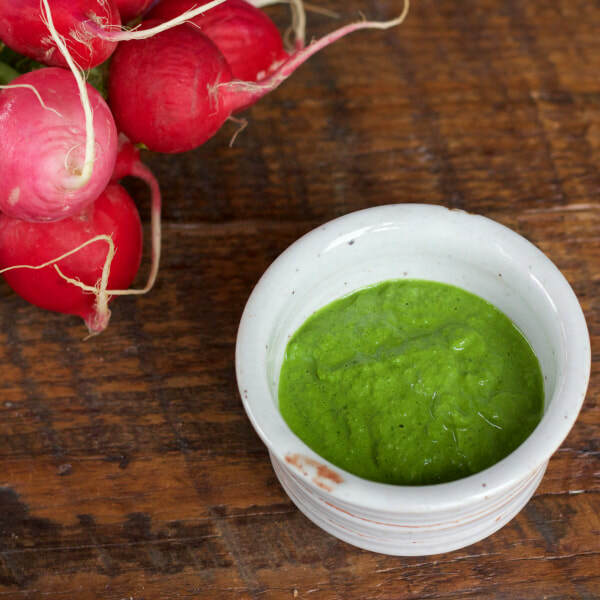 This Veggie Top Pesto was made with radish greens, but it is easy to make with any other greens of your choice! Add fresh herbs or spices to switch up the flavors. Using the greens from the tops of root vegetables for pesto is a great way to save money, since most people usually throw them out! Place radish greens, walnuts, Parmesan Cheese , oil, garlic, salt and pepper into a food processor or blender. *Nutrition information does not include radish top greens in analysis.